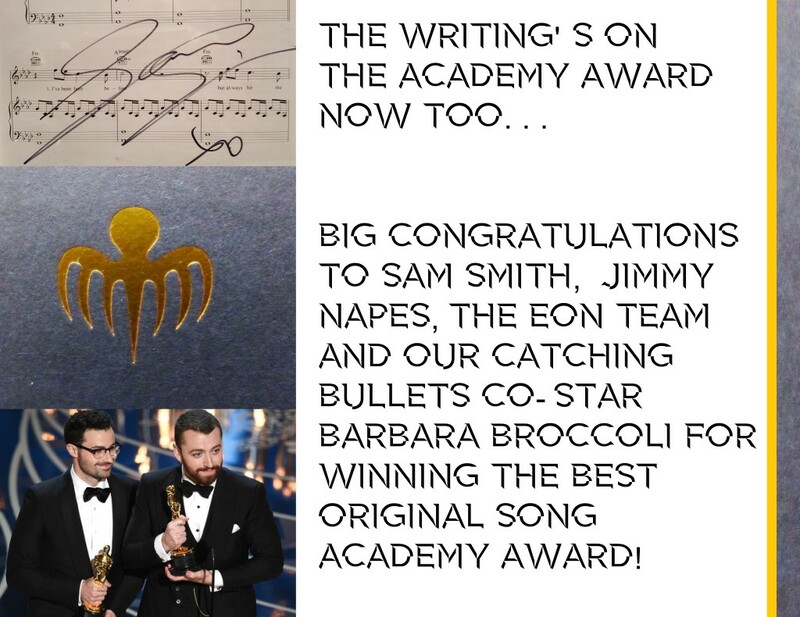 A BIG congratulations to Sam Smith, Jimmy Napes, the EON team and our ‘co-star’ Barbara Broccoli for winning the Best Original Song Academy Award for SPECTRE!! It is much deserved and another gilded feather in the cap for 007. 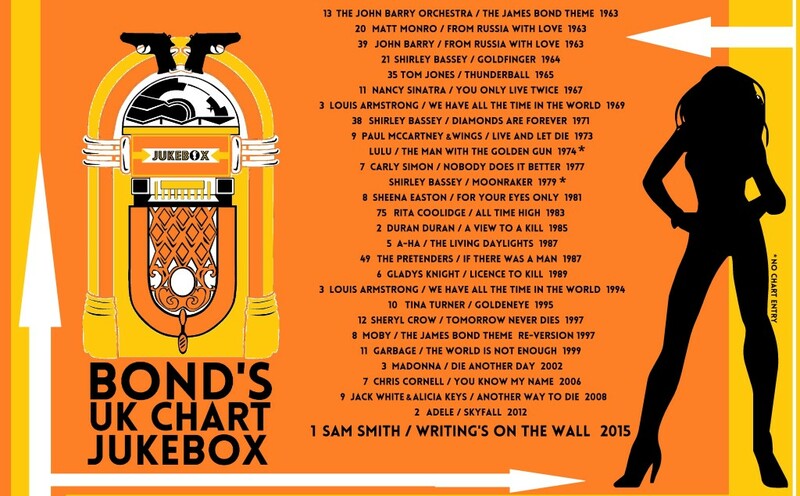 Sam Smith performs WRITING’S ON THE WALL…. Sam Smith wins the Oscar…. SPECTRE is out now on BluRay, DVD and digital download. CONGRATULATIONS to Barbara Broccoli, Team EON and the SPECTRE ensemble for making Bond chart history with the Bond series first UK Number One! Despite some kneejerk panic and reaction, SPECTRE’s opening anthem is a worthy track, a solid one and possibly needs to be seen in the context of the film it flanks. It is certainly carrying on a grand tradition of the top singer of the era stepping up to 007’s mic and giving the series their take on a Bond tune. This will get Oscar, Golden Globe and Grammy nominations. Easily. For a review of the track and what it means for Bond – read here. From those mid Sixties strings firing like very familiar harpoon guns into a John Barry-savvy ocean, Sam Smith’s Writing’s On The Wall is clearly ripped from the very genome of 007’s DNA. And it has certainly “divided fans” as media outlets love to say. But maybe middle-aged, blokey Bond fans aren’t quite the Sam Smith demographic. Aside from a trailer or two and a few Range Rover vanity vlogs, this is all the movie-going public can ‘own’ right now of SPECTRE. The bar is always high. Did I love Adele’s Skyfall when I first heard it about 30 seconds before going on air to talk about it? Did I instantly warm to Gladys Knight’s Licence To Kill when I heard some 2am snippet on local radio? And did I like or even understand the lyrics of The Living Daylights when I first heard a weirdly mixed b-side version? No to all of them. Bond songs are curious beasts. The best ones charted badly, the disliked ones sold well, they have always been a canny marketing tool dressed in a sequinned ball-gown, unlike champagne they age better than they first taste and they always play differently onscreen than through a phone. It is seemingly not just the writing that is nowadays on the wall, but everyone and his Twitter bestie’s opinion of what a good Bond and a good song is. Nothing divides reaction more than music (well, maybe Jeremy Corbyn does a little bit). But nothing divides musical reaction more than a Bond song – not when the writing can be fired in 140 characters or less at every media wall going. Because the 53 year old cultural legacy of Bond is so rich, it becomes personal – strapped to all film fans nostalgias and musical tastes. And Bond song opinions are like favourite Bonds – everyone has one, so to speak. But like new 007 actors, Bond songs need time to bed in. Not every dollar-paying punter knows all these songs inside out. It is a stranger sound for Bond. It is a different sound for Bond. But it is not wrong. It maybe needed a stronger climax, but it needs to be seen alongside Daniel Kleinman’s forthcoming title sequence for the actual SPECTRE film rather than snatched hearings on Spotify. There is a camp tragedy to it all – in part fuelled by Smith’s oeuvre of really martrying those vocals into submission. He certainly gets the drama of the gig. It is definitely a 1am torch song lament (like a lot of the best 007 numbers are). It is worth remembering too that – like Adele’s Skyfall, Madonna’s Die Another Day and Chris Cornell’s You Know My Name – there is now a story context to these songs. They are not just dropped in as a fade-to-titles Bond scrambles in some yacht for his condoms and champagne. In the Craig era these songs are now a narrative and tonal stepping stone for the film themselves. SPECTRE launches with a visceral, ambitious and aggressively mounted action sequence in Mexico City. The quieter melancholy of this track could be an apt and intended breather. There is definitely a context to this song based on what the audiences would have just experienced and the drama at stake. Remember – Sam Smith was asked to read the script. The writing is on the wall in the song, the film, its family of colleagues and all of Whitehall. Co-written and co-produced by Jimmy Napes, Writing’s On The Wall is certainly a well-produced track. As Adele’s creative partner Paul Epworth proved in 2012, the Bond song project now has its eyes on producers and the ability to put on a production as much as the headlining singers. 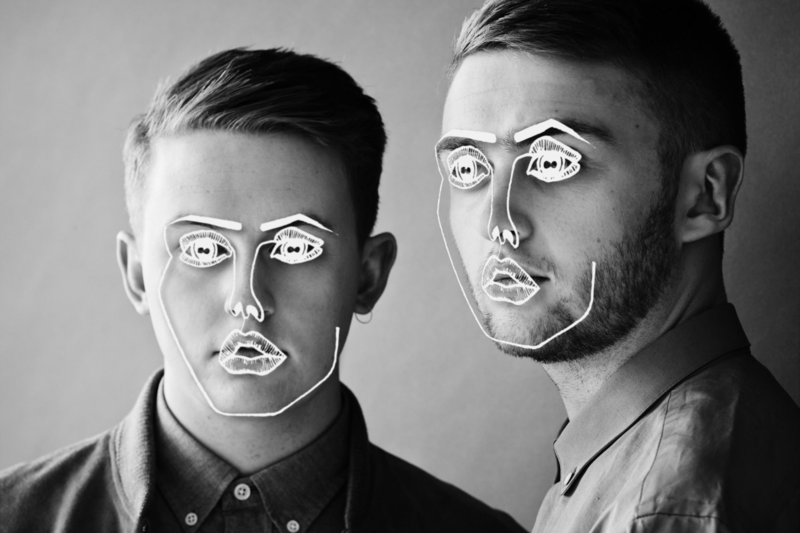 Whilst the sibling-production duo Disclosure (who co-produced the track) are more about the garage synths and electronica than anything evident in this tune, theirs is very much a crisp effort. The track could have very easily derailed itself with Smith’s octave-spinning vocals and penchant for piling vowel upon vowels (or Mariah-ing as artists less skilled than Smith tend to be guilty of). It’s certainly different – a [gay] male vocalist “risking it all” with a pained love song that retracts the traditional and bombastic momentum of a Bond song with a quiet falsetto or three (Communard Bond anyone?!). This writer would have loved to hear Smith step aside from the successes of Adele’s Skyfall, really go with that falsetto motif and create that hi-energy disco Bond song Sylvester never recorded. But maybe with Writing’s On The Wall we now have the first Bond song that sees a male soloist take the stance of the trapped bird, the love that cannot say no to our man James. That aching, first-person narrative is very Sam Smith and very Bond. But for you I’m feeling something that makes me want to stay. As it seems every self-pronounced diva on Eurovision seems to be channelling a faux John Barry Does Bond vibe (Conchita Wurst and her chuffin’ Vauxhall feathers anyone?!) what Disclosure, Napes and Smith have done here is definitely not faux. It is a very vintage Bond sound – no doubt in tune with that mid Sixties Thunderball template the fourth Craig film has its eye on. This film is called SPECTRE after all. In the wake of Austin Powers’ imitations and pastiches, that old-school, cat stroking villainy needs a classical sound to pin the film to that John Barry heyday when audiences last saw that mob of piranha-owning stalwarts in their prime. But is more David Arnold channelling John Barry than not and maybe indicative of the fact these ain’t your father’s Bond songs anymore. Sam Smith and his colleagues on this one were toddlers when Brosnan stepped into the role. So as some initial reactions are seemingly giving this fledgling Bond song another kick in the wall, it might be worth noting what Smith himself noted to BBC Radio 1 upon its debut – “it’s a grower this one”. He may well be right. Sam Smith’s Writing’s On The Wall is available now on iTunes. SPECTRE is released in the UK on October 26th. 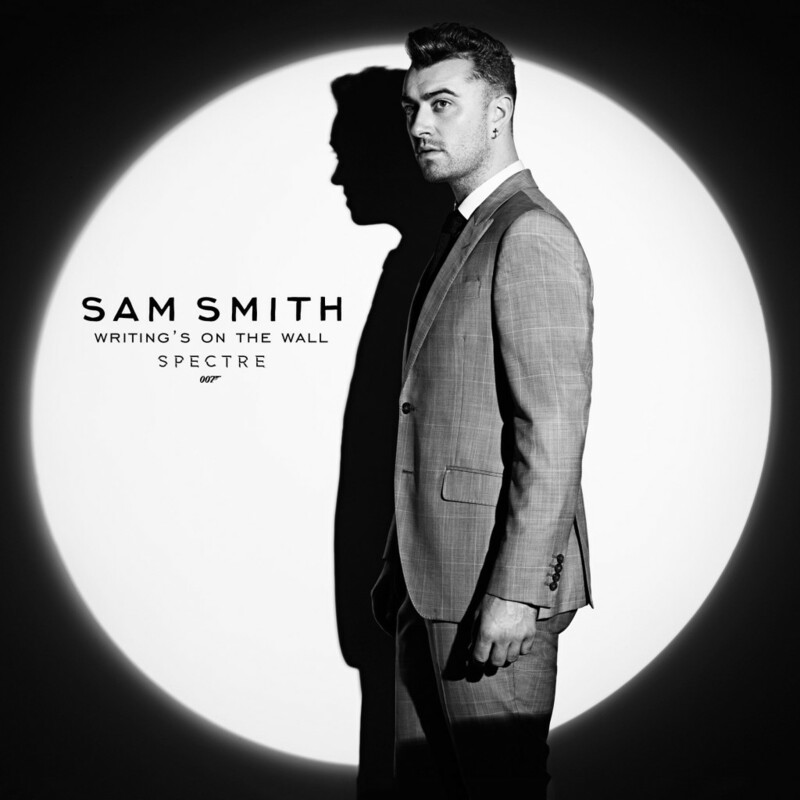 The official writing is finally on the wall with the announcement that British singer Sam Smith is performing Writing’s On The Wall– the title song to the 24th Bond movie, Spectre. Just like Adele before him, the multi-Grammy award winning British singer is a natural choice, a very current and high-selling choice and do not be surprised if Sam Smith is performing Writing’s On The Wall at next year’s Academy Awards ceremony. Just sayin’. However, Smith of course strenuously denied such Bond associations, citing Ellie Goulding in a scent-diverting tactic. Other names were touted too – including the rather delicious prospect of Radiohead getting involved. But the upshot was it was always Smith’s gig. Co-written very quickly with Smith’s co-writer Jimmy Napes (Stay With Me), the track allegedly took barely twenty minutes to structure with the end result being one of the proudest moments in Sam Smith’s career thus far. He is the first British male solo artist in fifty years to perform a Bond tune, the first out performer and one of the youngest too. Writing’s On The Wall is available to buy and download from September 25th 2015.